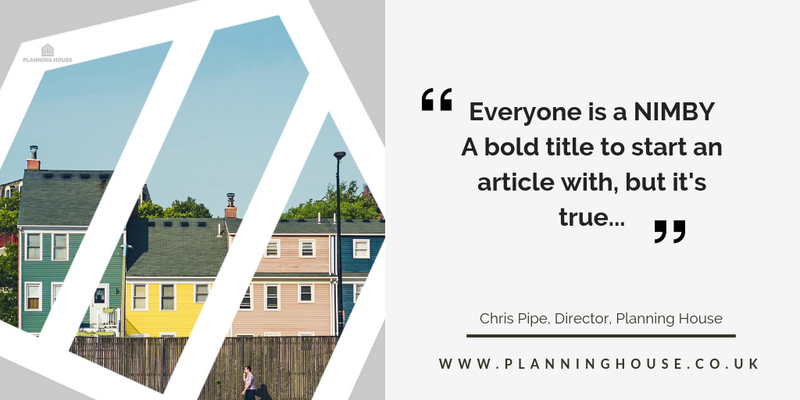 Chris Pipe, Director of Planning House offers her top 10 tips for avoiding the title of NIMBY when commenting on a development proposal in the October edition of the Northern Insight Magazine. If you’re in doubt of what Material Planning Considerations are please also read our download. we need waste recycling centres and sewerage treatment plants but we don’t want them built next to OUR home. The label of NYMBY conjures up derogatory connotations which isn’t always the case. 9 Know the process, is the decision going to be taken by the Planning Officer (delegated) or by the Planning Committee? You have an opportunity to speak to a Councillor to ‘call in’ a planning application to the Planning Committee, however the rules and procedures vary by Council so know your local process and how you can be involved in any Committee. 10 Know when to stop, the ultimate decision is not going to please everybody. Councils have a responsibility to listen to objector perspectives, understand them, and weigh up a scheme using their planning judgement it’s not personal, its planning! If a scheme is allowed only a Judicial Review can quash a decision and if refused a planning appeal may be progressed so be prepared it may not be over.